By Earl Kelly, 3/14/2011, reprinted with permission of the Capital Gazette newspaper. 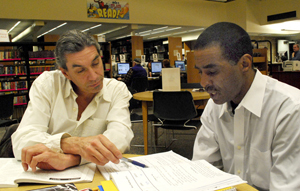 Charles Fort is Robinson’s AACLC tutor. We’ve Done It Again: 2019 Top-Rated Nonprofit! This Is What A Good Book Does To Your Brain! 2019 Appreciation Dinner: SAVE THE DATE!